Finding out you are pregnant can be a time of great joy. 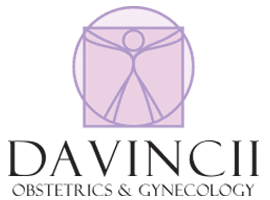 The caring team at DaVincii Obstetrics & Gynecology will help you with every step of the pregnancy and childbirth process. If you are in the Madison Heights, Michigan, area, you can choose the hospital setting for labor and delivery that’s right for you. DaVincii Obstetrics & Gynecology is affiliated with many hospitals in the area. Schedule your prenatal appointment today for regular care with a trusted team during pregnancy. Is it important to go to prenatal appointments? Prenatal appointments ensure you and your baby are thriving and growing as expected for a healthy birth. The friendly staff at DaVincii Obstetrics & Gynecology have your health and that of your unborn baby in mind. With regular appointments throughout pregnancy, they can usually detect any problems early enough for treatment. You can also discuss a birth plan for when the time comes for your baby to be born. A birth plan is important for several reasons. The knowledge of having a plan in place is calming for many women. The plan also helps your doctor know what you would like to happen and what you do not want to happen during labor and delivery. Another reason a birth plan is that it’s helpful is in determining which hospital you would like to use for your labor and delivery. What does it mean if I have a high-risk pregnancy? A high-risk pregnancy can stem from many different issues. If you are younger, underweight, or have other health problems, you may be considered to have a high-risk pregnancy. If you are at high risk, you may need extra appointments to check on your health and your baby’s. Having a compassionate team on your side during pregnancy and delivery will ensure you remain healthy. Why should I choose a natural birth? A natural birth is a very low-tech way to deliver your baby. It’s based on the idea that childbirth is a normal and healthy process and should not be interfered with by hospitals or doctors unless as a last resort. The doctors work as a team to help you stick to your birth plan during delivery. You make the decisions, and the doctors advise you if you have any questions or concerns. If you have received the news that you are pregnant and you want to start your pregnancy off right, call the experts at DaVincii Obstetrics & Gynecology. The experience and support the team gives you greatly enhance your health and the health of your baby. Call the office to request an appointment.